Superb location - with space and comfort. Property 15: Superb location - with space and comfort. Boaza Place is situated in Nikao and offers an outdoor swimming pool. 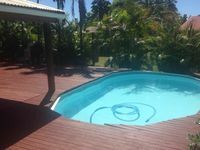 Property 19: Boaza Place is situated in Nikao and offers an outdoor swimming pool. LeoMae Rarotonga. Stunning home in Titikaveka. 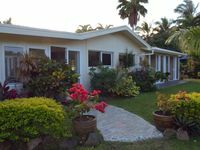 Property 33: LeoMae Rarotonga. Stunning home in Titikaveka.